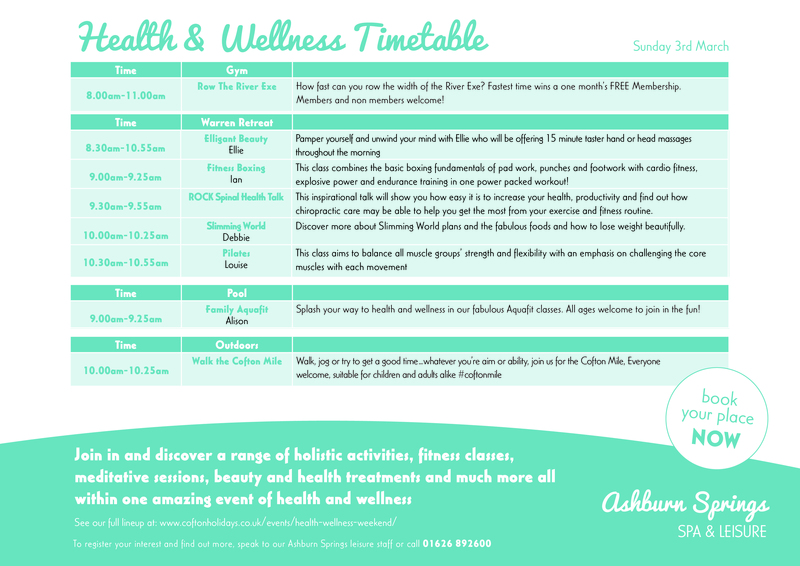 After the overwhelming success of last years fitness weekend, we have decided that this year it is going to be bigger and better, providing you with an all encompassing wellness weekend. 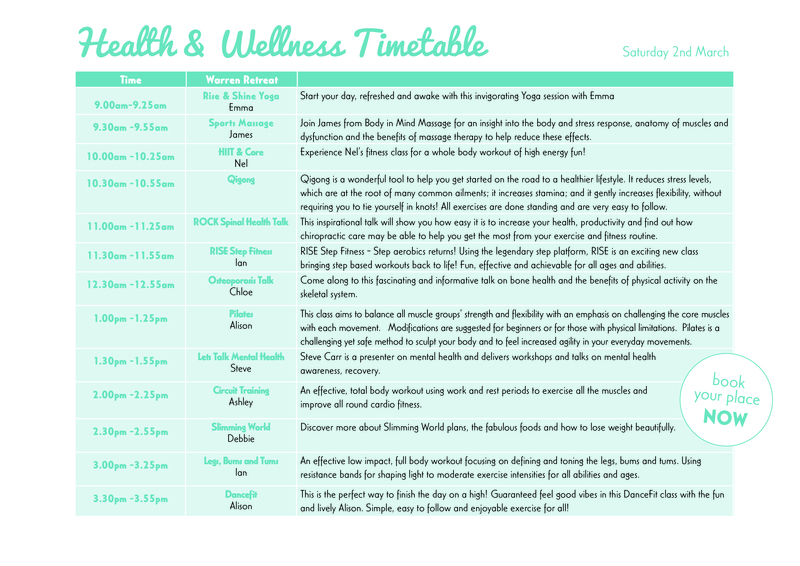 During the three day extravaganza, we will focus on not only fitness, but your wellness, mind body and soul. The weekend schedule is jam packed with fitness sessions, insightful seminars and a chance for you to learn more about your diet and nutrition. 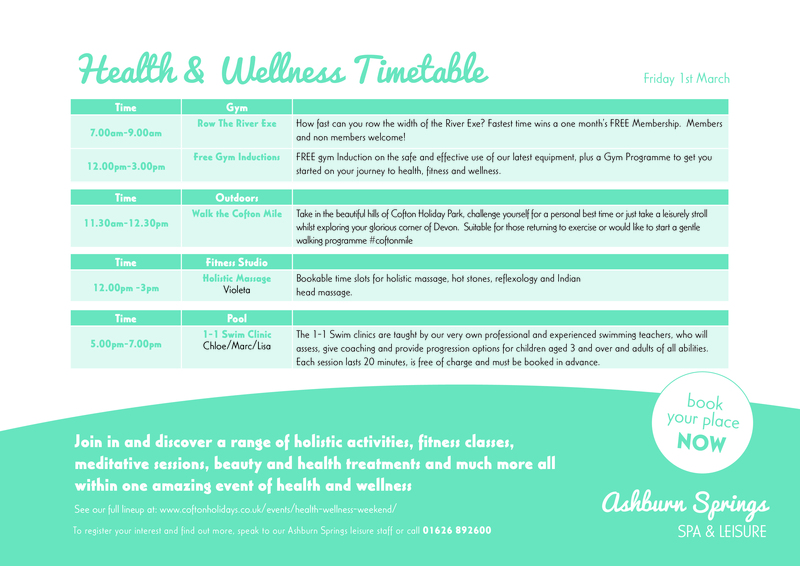 Anybody can sign up and come along - if you're new to Ashburn then you'll need to register with us if you want to join the classes. 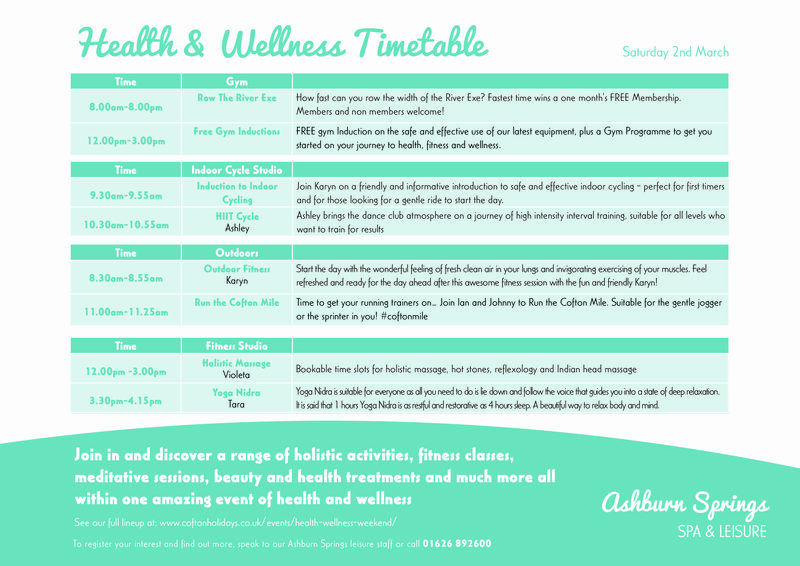 To take part in classes, seminars or to book a massage you will first need to register. If you are a member you have already done this, if you are not simply click on the following link. For more information about what is happening over the weekend follow the three links below.